Is this House An Optical Illusion? 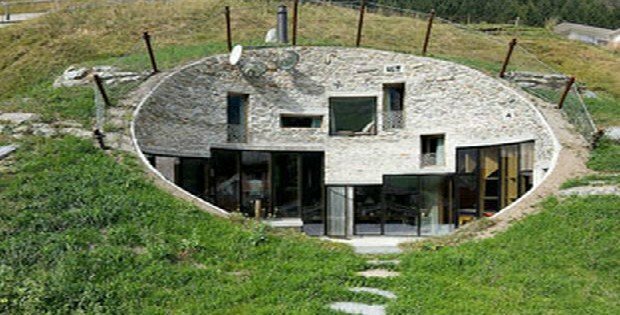 Architects SeArch and Christian Müller have come up with this incredibly unique underground eco-villa in Vals, Switzerland. 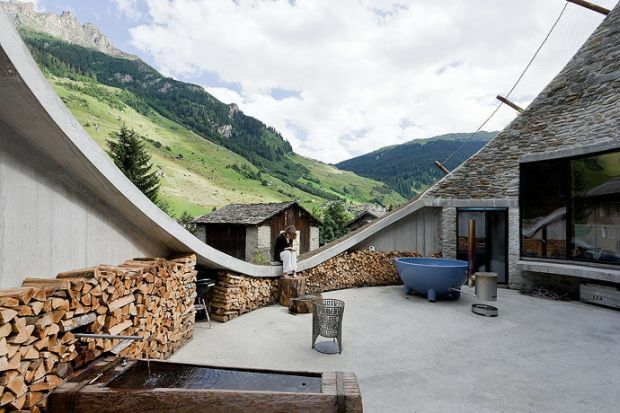 It’s an almost-secret Swiss villa which looks sort of like an optical illusion from a distance, keeping itself semi-hidden in a mountain side and carved out like a cave. The shape and design of the structure make it very eye-catching and unique, to say the least! 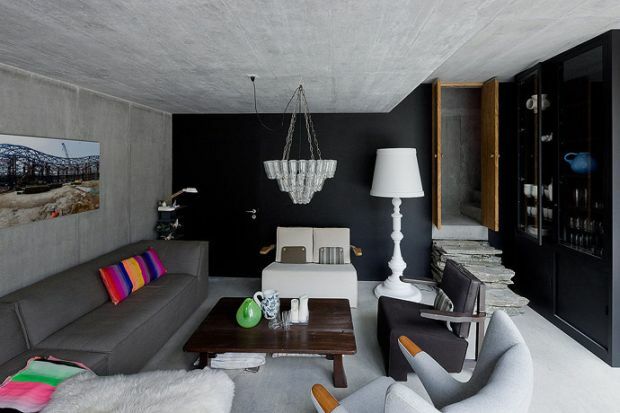 Check out these striking photos of the interior…. they’re gonna blow your mind. 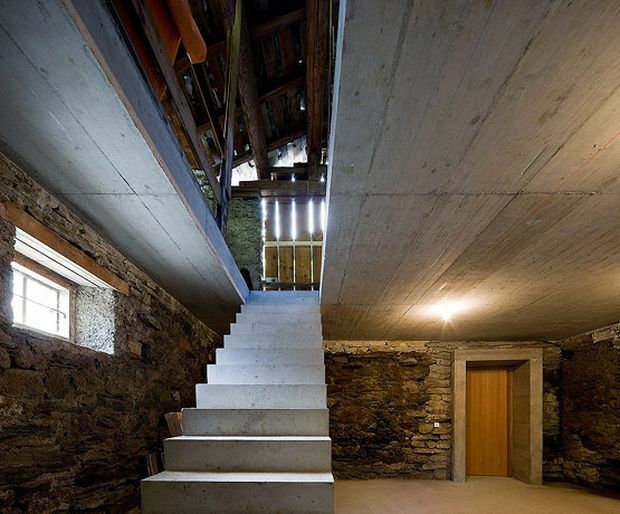 Designed by the architects of SeArch and Christian Müller, this underground house exemplifies the notion that thoughtfully constructed buildings can live in harmony with their surrounding environs. 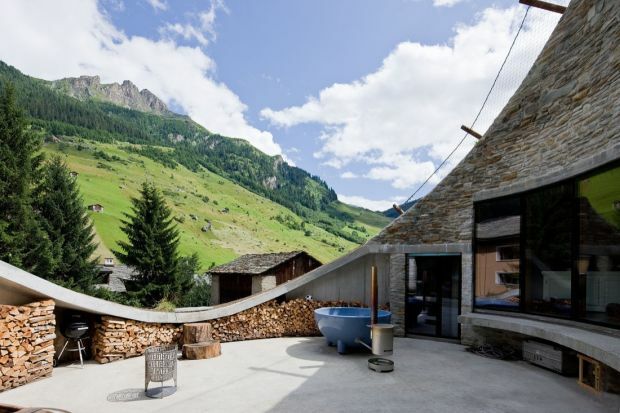 Situated in the Swiss village of Vals, the house is almost undetectable, nestled right into the mountain as it is. 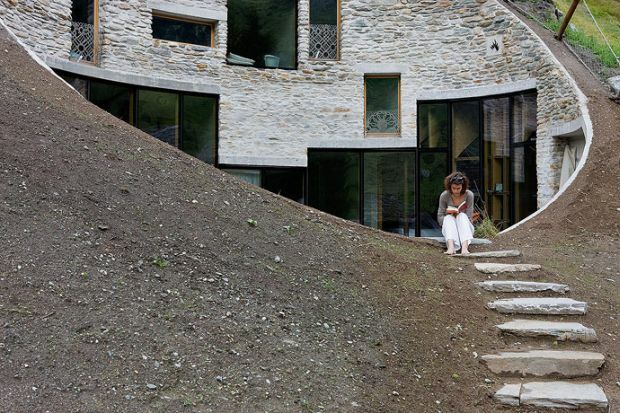 Set below ground, the concrete structure features a wide oval opening that one arrives at via a set of stones steps embedded in the steep incline. Bathed in an abundance of natural light, the house is far more glamorous than your typical underground bunker. It includes all of your typical amenities such as a full kitchen, dining area, guest room, and entertainment area, while features like the underground pathways give the residence a touch of military flair.